The SW6000 Electronic Vibration Switch is a versatile excessive vibration protection instrument. The SW6000 Electronic Vibration Switch is weather proof and ex-proof rated is optional. It has an adjustable trip delay and a setpoint test feature. 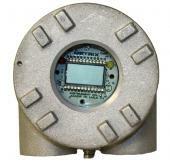 See the datasheet below for more information on the SW6000 Electronic Vibration Switch.